These brown sugar cookies are filled with crunchy, delicious walnuts or pecans. They are made with chopped walnuts and a walnut half on each cookie. Cream butter and sugar together until light; add vanilla and eggs; beat well. 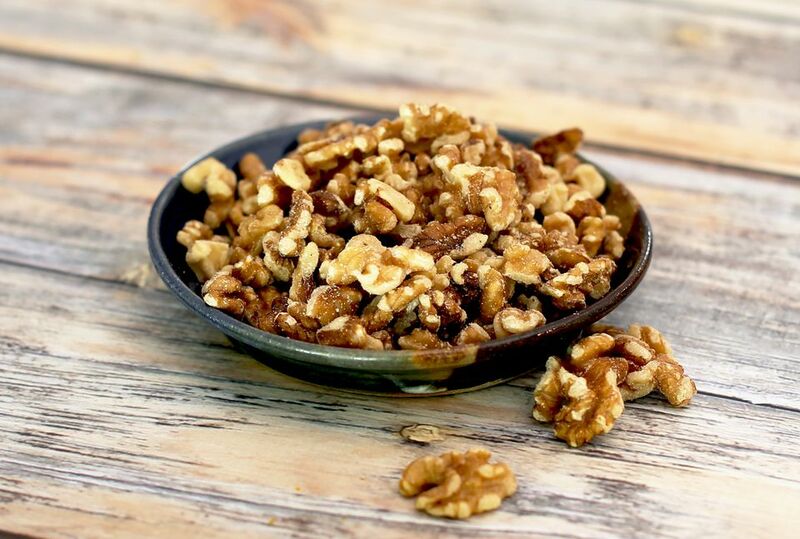 Dissolve soda in milk; add to the creamed mixture with the flour, salt and chopped walnuts or pecans. Blend well. Drop dough by rounded teaspoonfuls about 2 inches apart onto a lightly greased baking sheet then sprinkle granulated sugar over cookies and put a walnut or pecan half on each one. Bake at 375 F for 8 to 10 minutes, until lightly browned.